The old saying “what you don’t know won’t hurt you” proved false once an unthinkable horror was discovered. “Drag Queen” story hour has been pumped up and encouraged by LGBT activists, despite the objection of parents. But as it turns out, a loophole was discovered which has left an unimaginable number of children vulnerable to sexual assault. To start, conservatives knew nothing good could come from “drag queens”, otherwise known as fully grown men in women’s clothing, reading to children. Liberals insisted conservatives were “paranoid” and “intolerable” and needed to embrace the changing times. And if anyone dared to criticize the libraries, they were shut down and silenced. But it turns out, conservatives were right. The “Drag queen” story hour continued to increase as more and more libraries were jumping on the bandwagon. 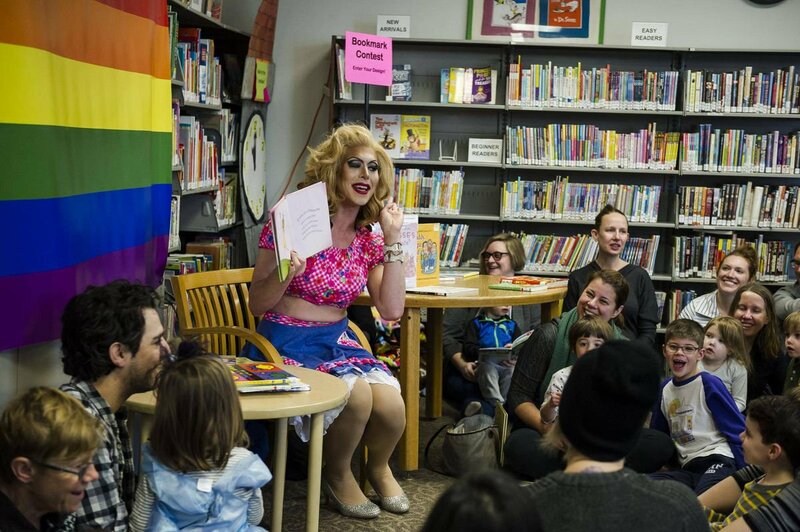 And in order to read to children, libraries have given these “drag queens” full access to children. However, as it turns out not all libraries are doing background checks on those who are interacting with children. But an independent pro-family group took the initiative to do so and discovered a convicted sexual predator gained permission to dress up as a “drag queen” and read to children. And this convicted sexual predator was previously found guilty of sexually assaulting an 8-year old boy. Thankfully this sexual predator was discovered before he could injure another child, but who knows what would have happened if it wasn’t for MassResistance. Parents should not have to fear placing their children into the hands of known sexual predators at the library. But it appears some libraries are more concerned with promoting “tolerance” than doing the diligent work of screening adults who interact with children. And what about all the other libraries? Are background checks being done there? One would have to bet they are perhaps being done spotty, at best. So parents, if you take your children to story time at the library – make sure you check out your library’s policy on background checks. And of course, if you see a “drag queen” prepared to read to your child – run. Then, start a campaign to provide exposure to what’s taking place in your hometown. What are your thoughts of a convicted child sexual predator being permitted to dress up as a “drag queen” and read to young children? What would you do if you found a “drag queen” reading to a child at your library?